The Plainville Sports Hall of Fame has its Class of 2018. Byron Treado, Chairman of the Plainville Sports Hall of Fame committee, has announced seven individuals and two teams will enter the Hall of Fame. The Class of 2018 inductees include: Larry Amara, class of 1964; James Graney, class of 1969; Jay Buckler, class of 1972; Scott Redman, class of 1995; John Andros, class of 1995; Nick Macellaro, class of 1999; Erin Soli, class of 2001; the 1940s Blue Angels Basketball teams and the 1958 state champion track team. This year’s recipient of the Distinguish Service Award recognizes Ken Gnazzo. 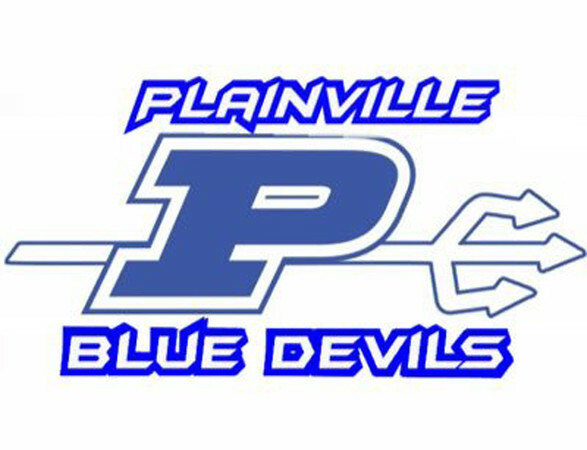 The Plainville Sports Hall of Fame will celebrate its 20th anniversary induction banquet on Saturday, Oct. 6. The banquet will be held at Nuchie’s Restaurant, 164 Central Street in Forestville. The Sports Hall of Fame induction ceremony banquet is an event to recognize the accomplishments and successes of athletes of Plainville who have brought pride to the community. The festivities will begin with a VIP social for Sports Hall of Fame members as well as a general public social hour at 5:30 p.m. Dinner will be served at 6:30 p.m. with the awards following immediately. The cost for a ticket is $50 and can be purchased at the Dental Offices of Dr. Rusty Camp at 359 Farmington Ave, Angelo’s Modern Barber Shop at 61 East St., Farmington Bank at 117 East St. and Gnazzo Food Center 73 East Street in Plainville or at www.Plainvillesports.com . In conjunction with the banquet, the committee prepares an event program and is hopeful you will be a valued supporter of the inductees or advertiser. Website sponsorship opportunities are also available. Revenues from these programs assure the future of the Founders Award presented annually to a graduating senior at Plainville High School, the banquet and the Sports Hall of Fame itself. Please contact Mike Bakaysa at 860-573-8015 or Byron Treado at 860-836-3377 for details. All commemorative plaques can be viewed at Plainville High School in the Sports Hall of Fame Showcase or you can visit the website www.plainvillesports.com for more information about the Plainville Sports Hall of Fame and sponsorship opportunities. Posted in New Britain Herald, Plainville on Tuesday, 15 May 2018 14:37. Updated: Tuesday, 15 May 2018 14:40.